delicious cookies and many other sweet creative temptations. Our hand-made and decorated creations are carefully crafted and made to order. They come in a variety of flavours, colours and themes. They can also be personalized to match your specific colour scheme. 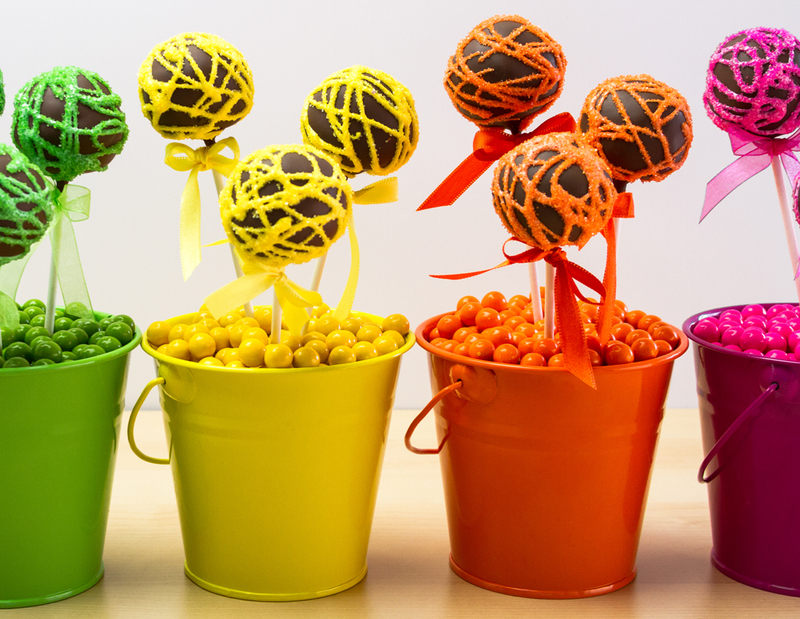 Planning a party and would like some sweet ideas? All of our products can be fully customized and personalized according to your needs. Whether you have a themed event or party, require your logo to be included or simply would like our products to colour match your decorations we can help. We can also help you set up and decorate your sweets table with a wide range of table displays and decorations. Chocolate, chocolate-hazelnut, brownie, chocolate-peanut butter, Oreo, red velvet, lemon and vanilla. Plain, milk or dark chocolate covered. 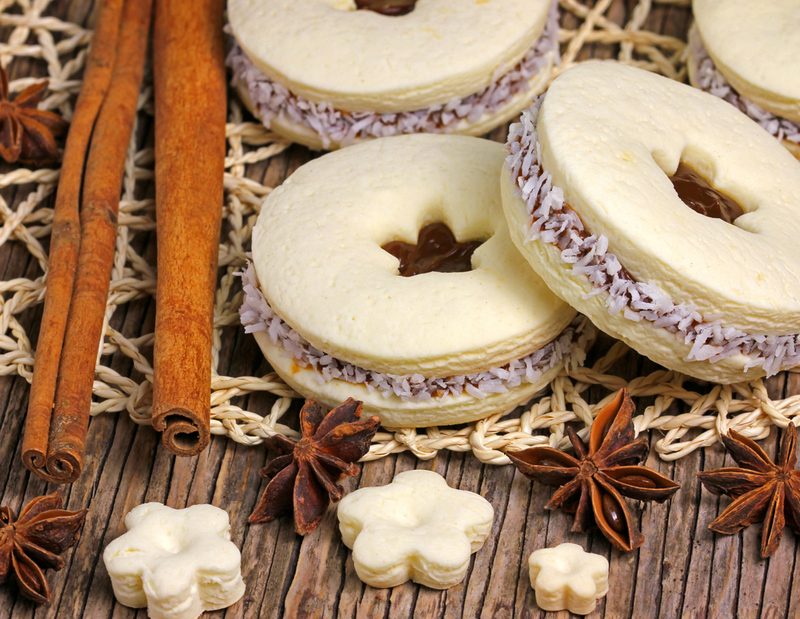 Filled with Dulce de Leche, and decorated with coconut flakes. Dark, milk or white chocolate, pistachios, walnuts, hazelnuts, pretzels, coconut, sprinkles and sugar decorations. Please enquire about additional flavours. 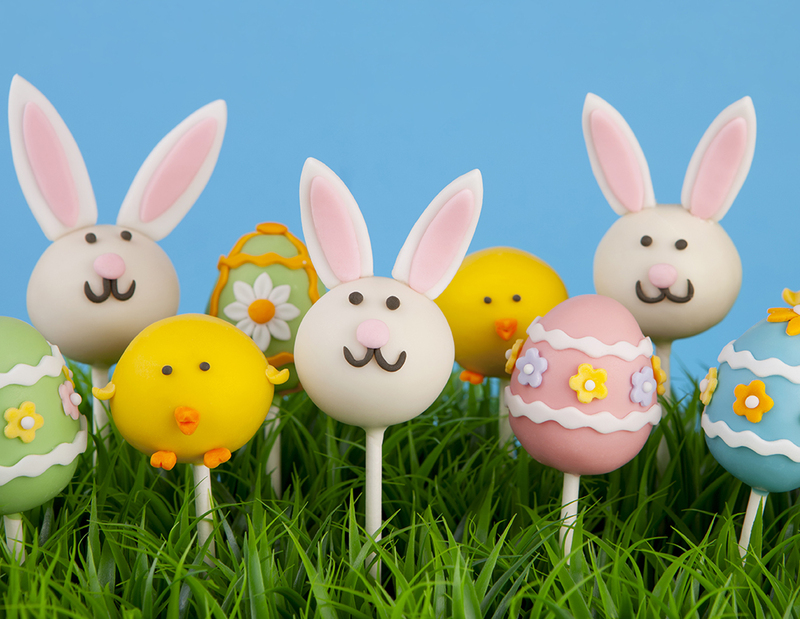 Cake Pops: All of our cake pops include the following base ingredients: eggs, sugar, butter, flour, cream cheese and icing sugar. Additional ingredients are included on the cake fillings depending on your choice. These can include: chocolate, lemon, carrots, vanilla, cinnamon, ginger, walnuts, hazelnuts, pistachios, desiccated coconut, Oreo cookies and pretzels, among others. Coatings: 74% cocoa dark chocolate, milk chocolate, white chocolate. Candy melts*, vegetable oil. Decorations: Candy Melts*, gel food colourants, sugar paste, gum, sprinkles and liquid food colourants. Alfajores: Butter, white flour, sugar, eggs, lemon, vanilla extract, almond extract, dulce de leche (condensed milk), desiccated coconut. Cookies: Lemon: butter, white flour, sugar, eggs, lemon, vanilla extract, almond extract. Gingerbread: ginger, molasses, butter, white flour, sugar, butter, eggs, cinnamon. *Sugar, partially hydrogenated palm kernel oil, milk protein, white milk solids, non-fat dry milk solids, emulsifier, salt, flavouring, E133, E110, E129, E132, E102, E171. Although most of our creations are nut free, they are handled in our kitchen; therefore, traces may be found. 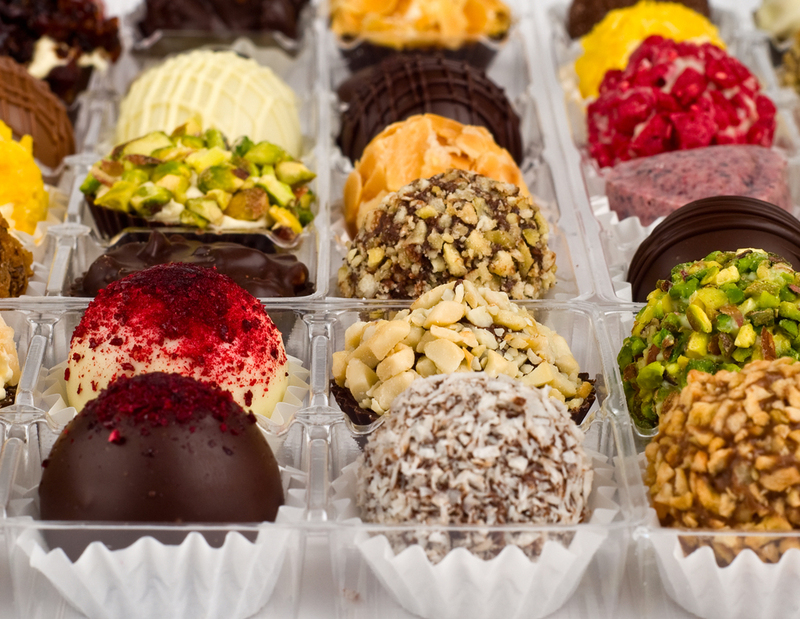 Our Cake Pops and truffles are freshly made to order and keep well for 14 days as long as they are kept refrigerated. Our alfajores and cookies are also made to order and can last up to 14 days, although they do not require refrigeration. Our products are all freshly made to order, so we need a minimum of 2 days to ship/deliver them. Large orders for parties and events might need more lead time. Please contact us for more information. We deliver to anywhere in UK via Interlink. Please be aware that it requires a signature. There's a minimum order of 8 pops per order. Pop Bouquets (minimum 24 pops), Truffles Box (minimum 24 truffles) and Cookies/Alfajores (minimum 40) are delivered anywhere in Greater London. We also provide delivery and set-up arrangements for parties anywhere in Greater London. Please enquire. Please call us to discuss your ideas and help you create some sweet sensations for your next event or party! © 2015 Menchu's - Cake Pops'n More | All Rights Reserved.